Hip dysplasia in dogs is a prevalent problem. In fact, it is thought to be the most common orthopedic problem in dogs. [wp_ad_camp_5]In this article we are going to look at what hip dysplasia is. Helping you to spot signs of hip dysplasia. And understand the options when it comes to the treatment and management of the condition. We will also explain the potential causes of this condition, along with sensible tips for preventing it. Hip dysplasia simply refers to the abnormal growth of the hip, where the ball and socket joint has formed in a way that is less functional than it should be. A normal hip has a ball-like femoral head, sitting in the socket of the pelvis. There is a strong ligament attaching them, and a joint capsule of tough connective tissue encircling them. The ball moves smoothly around, without rubbing and staying firmly within the socket. When hip dysplasia occurs, then socket is inadequately formed to smoothly hold the ball in place and allow it to move without interruption. The muscles, ligaments and connective tissue may also be too lax to support the normal movement of the joint. Lax muscles cause something called subluxation, where the ball and socket separate and change shape. Hip dysplasia is the name for the abnormal hip joint. Puppies are rarely diagnosed with hip dysplasia until they are at least six months old. It is most often diagnosed between 6 and 18 months of age. The earlier that the puppy is diagnosed, the less likelihood they will have had of developing arthritis in the damaged joint. Some dogs may not be diagnosed with hip dysplasia until they are several years old, and in these cases it is probably due to the condition being mild. Therefore it wasn’t noticed by the owner until the abnormal joint became arthritic and started causing the dog increased pain and loss of mobility. Your dog’s breed is a risk factor for hip dysplasia. The condition is most often seen in pedigree dog breeds, who are medium to large in size and have a period of rapid growth. 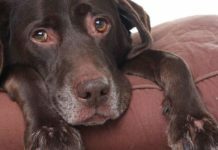 It is a serious issue for some Labrador lines and something which you need to be aware of before you bring home a new puppy. Hip pain in dogs is not a straight forward matter. There are a variety of possible reasons that your dog could have a sore joint, and some of the symptoms below may be the same as in hip dysplasia. However, if your Labrador is demonstrating any of the signs below then this is a warning sign of potential problems. Dog hip dysplasia symptoms do not normally include crying or whining with pain. They will be apparent to you in the dog’s movement, and not often through clear vocal signs of pain. Hip dysplasia diagnosis can only be made by a qualified veterinarian. [wp_ad_camp_2]Your vet will physically examine your dog to see signs of hip dysplasia. He or she will ask you to describe the signs you have seen of joint problems, weigh him and assess his over all health. Your veterinarian may take a blood sample to access the extent of inflammation in the joint, and may also ask for a urine sample to assess as well. They will then book your dog in to x-ray their joints. The vet will study your Lab’s x-rays and look for abnormalities in the joint, such as incomplete hip sockets. It is possible that the veterinarian will also want to take MRI or CT scans to confirm the extent and exact nature of the diagnosis. Hip dysplasia is not a cut and dried diagnosis. It comes in varying degrees and types, and a lot of factors will influence the treatment course you and your veterinarian choose for him. Non surgical treatment for hip dysplasia is possible in those cases where the condition is not too severe. Weight loss is advised if your Labrador is on the heavy side, as this will reduce the pressure on the hip joints. In fact one study demonstrated that weight loss alone could improvement the signs of lameness in a dog with hip dysplasia. Physiotherapy and hydrotherapy can help to manage hip dysplasia symptoms. If you have a local dog friendly swimming pool, then this is a great place to exercise him. Pain killers and anti-inflammatories are an essential part of hip dysplasia treatment for some Labradors. NSAIDs are non-steroidal anti-inflammatory drugs developed for dogs who have the symptoms of osteoarthritis, which are often seen in chronic or developed hip dysplasia. They reduce swelling and pain in the effected joints. NSAIDs can only be prescribed by your veterinarian, as they need to be given in specific quantities and at certain times. They can also have side effects which need to be taken into account before administering. If your veterinarian prescribes NSAIDs he will want to monitor your dog’s progress and condition regularly. 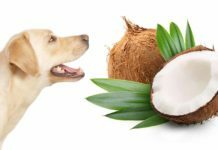 Corticosteroids are another option your vet might consider, although they are less popular these days due to the prevalence of other options with less side effects and a more specific impact on the dog. Canine hip dysplasia supplements are available. However their level of effectiveness is up for debate. Glucosamine and Chondroitin have both been used to manage osteoarthritis, and have been shown to have some impact on reducing the symptoms associated with hip dysplasia. Glucosamine is a sugar that assists with the synthesis and maintenance of joint cartilage. Chondroitin works to inhibit damaging enzymes in joints. Together they are believed to help your dog create and repair connective tissue in the damaged joint. 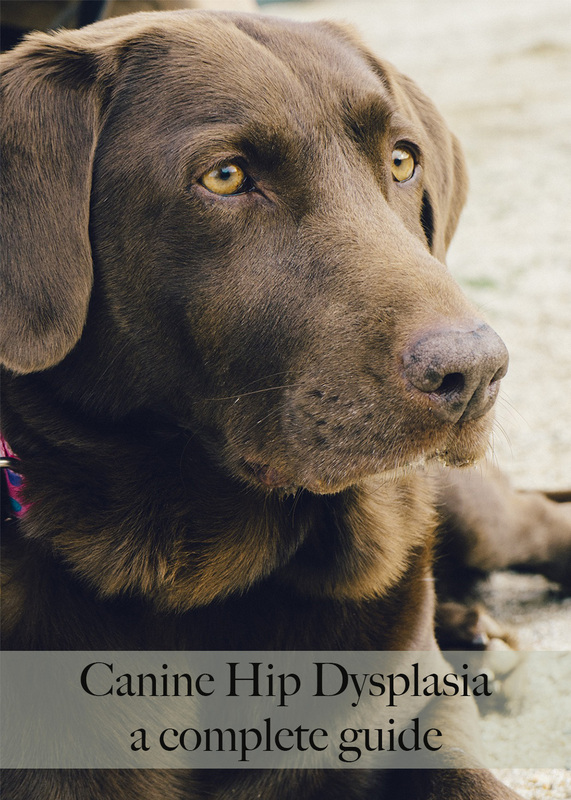 In many cases of hip dysplasia, your veterinarian will move on from non-surgical treatments to consider the options involved regarding surgical procedures. Hip dysplasia surgical procedures vary, and will depend upon the extent and nature of your dog’s hip dysplasia. If hip dysplasia is diagnosed at a very young age in a puppy, then one surgical option is juvenile pubic symphsiodesis (JPS). In a JPS procedure the surgeon will cauterise the underside of the dog’s pelvis, changing the way in which it grows to provide a better foundation for the ball and socket joint. JPS can only be carried out on dogs who are still in a rapid phase of growth, at under 5 months of age. This means it is rarely carried out, as hip dysplasia is not normally evident until the puppy is a few months older. However, if it can be done it is a much less invasive procedure and can improve the extent of arthritis in the future. A triple pelvis osteotomy (TPO) involves making three cuts into the socket of the hip joint. This allows a part of the bone to be moved into a better position for the joint. The newly constructed weight bearing area is held in place by a plate and screws. These methods can be effective on joints in younger dogs, less than 10 months old, who have not yet suffered arthritis as a result of their condition, and whose hip dysplasia is not too extensive. It is a major surgery and one that is pretty expensive, but it can provide relief to the dog and increased mobility. However, one study suggests that JPS and TPO have similar effects in dogs with moderate to severe hip dysplasia, but that neither procedure eliminates the symptoms of progression of the disease completely. If the hip dysplasia is extreme then a total hip replacement might be considered. A total hip replacement can be the chosen path for a dog suffering from chronic hip dysplasia. It involves removing the entire joint from your dog. The damaged ball and socket will be removed, and replaced by surgical implants, made of a combination of metal and plastic. This is an extreme surgery, but can have excellent results. With high success rates reported, and a great potential outcome for the dog’s return to fitness. In some dogs it is not possible to carry out a total hip replacement, or very sadly the owner is not able to pay for this extensive surgery. In these cases the veterinarian may consider removing the ball joint in the hip. The benefit of this is that the dog will not suffer from the pain caused by the ball and socket contact. But the down side is that the joint will not work properly afterwards. It is also not advised for larger dogs weighing more than 40 pounds. The dog will require extensive physiotherapy after surgery, and will not return to complete fitness as the joint will always have a limited function. If your dog has been diagnosed with canine hip dysplasia, then you will incur costs from this for the remainder of his life. Non-surgical treatments and pain management can quickly run up large bills, in terms of your veterinarian time, scans, medications and any additional physiotherapy or hydrotherapy you use. Hip dysplasia surgery cost varies depending upon who your vet is and what procedure they decide is best. This will normally be in the thousands of pounds/dollars. Hip dysplasia has a variety of potential causes. The main contender is genetic inheritance, although it is not a straight forward or simple matter. A puppy from parents with poor hips is more likely to have poor hips themselves, however it is not a clear yes or no matter as all hips are simply placed somewhere on a spectrum of perfect to very bad. Causes of hip dysplasia are not limited to the inherited factor either. They have an environmental influence, which means that some dogs who could have suffered from hip dysplasia never show signs, and others with a limited likelihood go on to have extensive problems. Other causes include diet, regularity of feeding, pelvic muscle mass, exercise and weight. Preventing hip dysplasia in dogs is important. Especially in the breeds which are more likely to be affected, or who are predisposed to problems by poorer joints. Keeping your Labrador at a low and healthy weight will help to reduce the stress put on his joints. A long term study of 40 Labrador Retrievers from puppyhood concluded that it is important to not overfeed puppies, particularly in breeds who are prone to hip dysplasia. 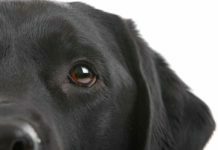 The importance of not over feeding Labradors was reflected in another study of Labrador Retrievers, which demonstrated that reducing feeding by 25% delayed the onset as well as reducing the severity of hip dysplasia symptoms. Some studies suggest that using stairs when young can make a dog who has poor joints more likely to go on to develop hip dysplasia later in life. It was recommended that puppies under 3 months should not be allowed to use stairs in order to combat this risk. There has also been a correlation noted between the flooring a puppy is kept on and the outcome of them developing hip dysplasia, with one study seeing puppies kept on slippery floors being 1.6 times more likely to show symptoms. If you have slippery floors, you can help to prevent hip dysplasia by putting rubber matting down on the areas where your puppy will most frequently be walking. Recent research has also shown that hormones can play a part in proper joint development. 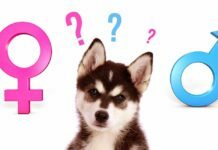 When your puppy is growing, the hormones that the ovaries or testes produce are important for their healthy growth in a lot of ways. One study demonstrated that early neutering of male Golden Retriever puppies result in twice as many occurrences of hip dysplasia when compared with those who were left intact. Therefore to help prevent hip dysplasia, it would be sensible to consider waiting until he is a fully developed adult to have him neutered, or alternatively not to neuter him at all. Hip scoring is an incredibly valuable way of assessing the likelihood of your puppy developing hip dysplasia. Hip scores are values given to potential puppy parents’ hips, which indicate the quality of the joints. Vets in the USA give a descriptive value to each hip. Ranging from excellent, to good, to fair, to mild, to moderate, to severe. In the United Kingdom a reading of 0:0 is a perfect hip score. If both puppy parents had 0:0 hips, then your puppy would be unlikely to suffer from the disease. However, most dogs will have at least some degradation to their joints. The average hip score for an adult Labrador at the last reported study was 12. A veterinarian will take an x-ray of the adult dog’s hips, and give a value to each side’s joint. [wp_ad_camp_1]This will be written down as a pair, for example 6:6. These two values are added together to give their over all hip score. You don’t just want this value to be lower than the breed mean of 12, you also want it to be fairly balanced. So a hip score of 12 from 6:6 is fine, but one of 12 from 1:11 is more concerning as it shows the hips are imbalanced and one is far worse than the other. What Do Parental Hip Scores Mean For Puppies? Hip scoring is all about playing the genetic odds. If your puppy’s parents both have good quality hips, then they are more likely to have good hips themselves. You should only buy a Labrador puppy who has two hip scored parents, whose scores are both below the breed mean and fairly evenly balanced on each side. If your dog has been recently diagnosed with hip dysplasia, you will be understandably worried. Make a list of any questions that you want your veterinarian to answer before each visit, and make sure that all of your concerns are properly addressed. 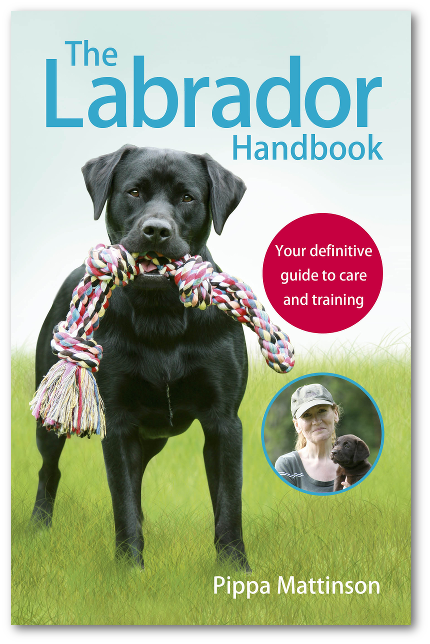 You can help your Labrador with hip dysplasia to have the best quality of life, and potentially to relieve some of his symptoms, with good care management as well as your vet’s help. Ensure that he is kept at the lowest healthy weight for his size. Keep up a regular exercise routine, but ask your vet what the maximum amount should be to prevent unneccesarry stress on the joints. Avoid stairs, jumping and walking on slippery surfaces where possible. You may also find that your dog is more comfortable with an orthopaedic memory foam mattress bed, and raised food bowl to eat from so that he does not have to bend down. If you brought your puppy from un-health tested parents who you know are still being bred from, then it would also be a good idea to politely inform the breeder of your pup’s condition, so that they can health test the parents before deciding whether to breed again. If your dog is not already insured, then it may be sensible to open a savings account to cover the costs that the condition may incur going forwards, and to speak with your veterinarian to look at your budgeting options. 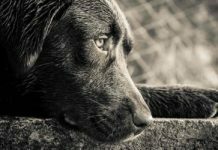 Hip dysplasia in Labradors is the most common orthopaedic condition for the breed. However, with careful puppy purchasing research, and good management of your growing dog, you can drastically reduce their chances of ever developing it. 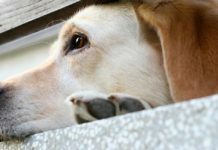 If you have any concerns about your Lab’s hips or general health, then speak with your local veterinarian who will be best placed to advise you. Our lovable 10 month old lab pup was diagnosis with severe hip dysplasia several months ago. We had noticed that he laid strange, with his back legs tucked under him, and his back end seemed less muscular and he always laid with his back legs against things. We had x-rays done and the vet handed my daughter (the actual pups owner) a box a tissues when we went for the follow up visit on the outcome of the x-rays. He is very active and very lovable. We are planning on having total hip replacements in both legs when he reaches around 15 months. I am not sure what to do for him now though, he seems like it is getting worse. The vet we went to doesn’t feel like any other options would be good for him and he can not do the surgery until next February. He is extremely active, jumping all the time, wanting to play fetch, and running and bunny hoping around the house. I watch how much i feed him to keep his weight down (he is a big boy at 80 pounds) but i am very concerned because lately his leg is even wobbling when he walks, it is so sad. The vet said he may only know pain, and not know anything else, which is so sad. Any ideas of something to give him to help strengthen them? I am afraid to give him pain medicine because i think it would mask the symptoms. We got him from a rescue site at 3 months old. We also had a Lab diagnosed at 10 months with mild in one hip and moderate in the other. He was lame and arthritic at that age! Surgery was recommended but I decided to try less drastic measures. He is now five years old and still very active. I give him two capfuls of Apple Cider Vinegar with the Mother (organic) each day with his meals; he also gets a Fish Oil and a Vit E each day. Along with that, he gets Kirkland Glucosamine 1500 AND MSM powder. You get the powder at a feed store or on amazon. He may still need surgery eventually, but the Vet is amazed at how he retained muscle mass when they thought surgery was the only option. I am in tears. My 8 year old lab is in pain, cant go up one step now. She can still chase a ball with the bunny hop. I can’t afford surgery. I’m going to try weight loss diet, NSAID therapy and hydro therapy. I feel like my child is in pain and I can’t help. She fell off a one step porch tonight, I’m still in tears. Our lab gets weekly laser treatments at our vet for her dysplasia and it seems to help. I also give her a daily dose of a hyaluronic acid joint supplement called LubriSyn. I believe between the two of these things it has helped her. She just turned 12 and has really been the last year that she has been affected. Can you recommend any good supplements for hips/joints? My lab is 8 months old, no symptoms of dysplasia, but would like to start giving her a good supplement for prevention. My 17month old lab/retriever cross, has just been diagnosed with Hip dysplasia in his right hip. It seems quite bad, but up to two weeks ago he was active and happy 2 walks a day of 30 mins each mainly on the beach. He’s been put on anti inflammatories, which had minimal affect and for the last 3 days has been on tramadol. The Tramadol has had the best effect and he has gained about 80%/90% of his original mobility. I live in Western Australia about 500kms from Perth and the surgery has to be done in Perth. The x rays are with Murdoch university as I type this awaiting suitability for an op etc. 1, How successful is this operation for my boy to return to 90%+ painfree active life style. 4, Am I doing the right thing, as in the right option. 5, Has anyone gone through this recently, or can anyone direct me to somewhere where I can get more details of a hip replacement procedure. Hip dysplasia: breeding dogs with hip dysplasia is legal. Let’s change that. Later on, you realize that this condition could be easily prevented by screening breeding pair (sire/ dam) of your puppy. The probability of puppy having hip dysplasia later on in life, according to Orthopedic Foundation for Animals http://www.offa.org/pdf/monograph2006web.pdf) in 2 healthy hip (excellent hip rating) dogs (sire/dame) in only 4%, while the probability of dog having hip dysplasia from 2 dysplastic hip dogs is 36%, based on 444,451 screened dogs. This study may have an observer bias because the animals subjected to hip X-ray were probably selected for breeding and their owners were hoping that they are normal. I doubt that many badly limping hip-dysplastic animals were really admitted to OFA certificate, and, because many large breed have up to 65% of hip dysplastic dogs, this % may be actually much higher. Do you think AKC cares? No, they do not. They can only print pedigrees and organize dog show. They do zero selective work to improve or reinforce breeding standards. Do you think the breeders are not aware of that? Yes, they do. Do you think they will check the mating dogs for hip dysplasia? Some of them do, some of them don’t. They’d rather prefer to protect themselves by predatory contract making them all excuses to breed sick animals and for you, the pet owner, to deal with it later on. Why? Because breeding the sick, hip dysplastic animals is legal in USA. Too bad. Let’s change that! Let’s stop that kind of animal cruelty from making –money breeders and keep them more responsible to the damage they are doing! Even some publication suggesting the role of environmental factors in hip dysplasia, such as poor nutrition or over-exercise (usually not randomized observation, read: not really scientifically proven). It is also true that hip dysplasia is polygenetic disorder. Well, it will not change the fact that probability of puppy been hip dysplastic is 9 times lower if its parents (dam/sire) were graded as excellent by OFA X-ray compare to that whose parents were graded as dysplastic. Except dogs get Hip Dysplacia from parents with low hip scores and within lines of dogs with low hip scores. So let us have a care for the actual science and not your imagined and simplistic version of what is known. Dogs are also more than just a set of hips so hip scores are only one of several things a breeder would consider. My lab has hip dysplacia and arthritis, all 4 affected Diognised at 6mths after knocking his leg on ‘we don’t know what’. Surgery is too expensive to afford we feel bad for not giving it him. We take him hydrotherapy once a fortnight and he has special food for his joints. With regards to the section about surgery and the FHNE procedure. One of our Labradors, Millie, was diagnosed with hip dysplasia when she was 9 months old after displaying some of the symptoms described above. We were referred by our local vets to West Midlands Referrals in Lichfield. They carried out the FHNE which gave her instant relief and almost instant mobility. Three and a half years after the operation she shows almost no sign of her original problem. I would describe her mobility as at least 90% when compared with our other Labrador who is of the same age. The total veterinary bills for the treatment and original diagnosis came to £2875 with a further £300 being spent on hydrotherapy. We did spend a further £125 on hydrotherapy after the prescribed course finished simply to give her the best chance in the future. Our insurers, Equine & Livestock, paid us £2942 with absolutely no quibble, the small difference being down to agreed excesses contained in the policy. We received absolutely first class service from all those involved. We would recommend taking out insurance on your dogs – you always want them to have the best treatment when they are ill. If anyone would like to discuss our very positive experience with FHNE or even to see Millie in action we would be glad to help. Please contact us at mikeslaney@hotmail.co.uk.